Farmer’s markets are one of my favorite past times. In Chicago, I saw some really unique things including carrot looking radishes, purple asparagus and sunchokes. 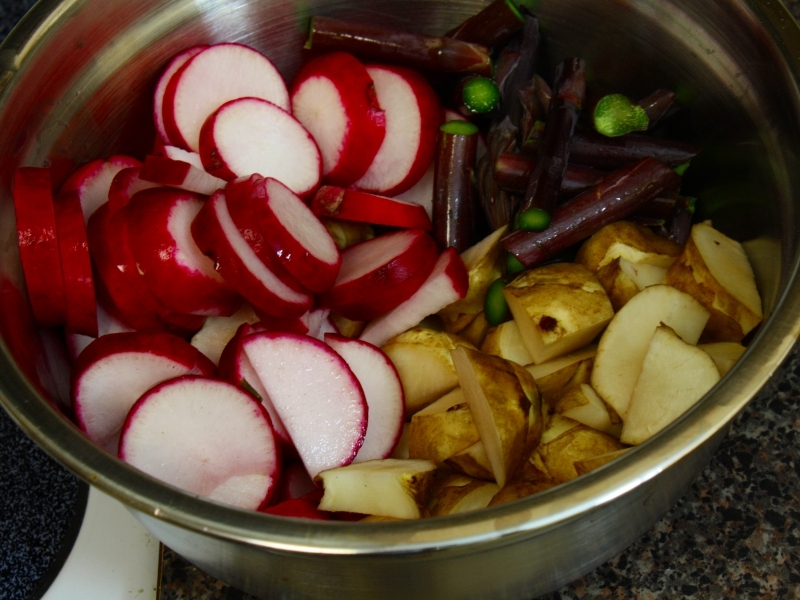 Radishes are a natural anti-inflammatory so it helps with allergies and sinus pressure. 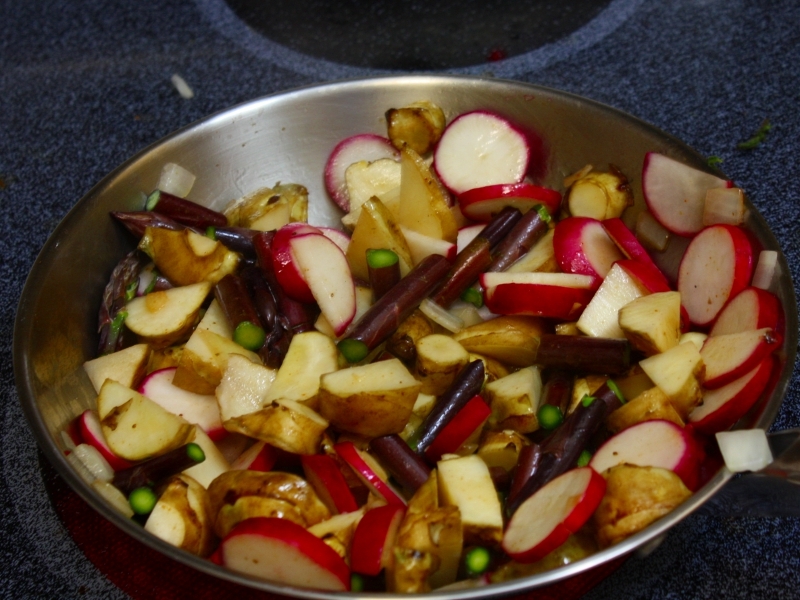 Purple asparagus are similar to purple Chinese beans in that they turn green when you cook them. 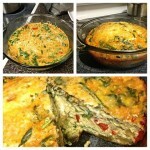 It tastes the same as green asparagus but more fun! 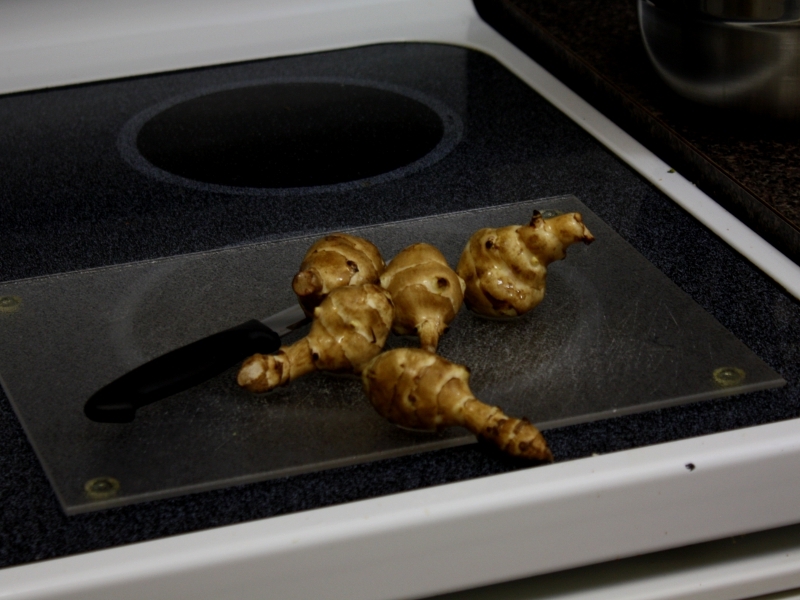 Sunchokes were a new introduction by an old dance friend I just happened to run into on the bus ride to the market. They’re proper name is Jerusalem Artichokes though they aren’t anything like the artichokes that get steamed or turned into tasty dip. Still don’t know what I’m talking about? Sunchokes come from the tubors of a perennial flower that’s a member of the daisy family. Think potato that’s less starchy and higher in protein. 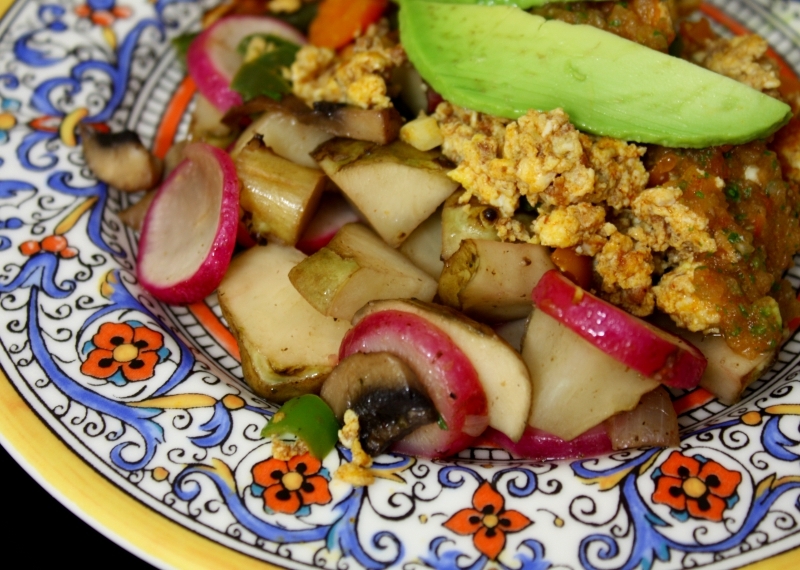 They are the perfect twist for this veggie hash. 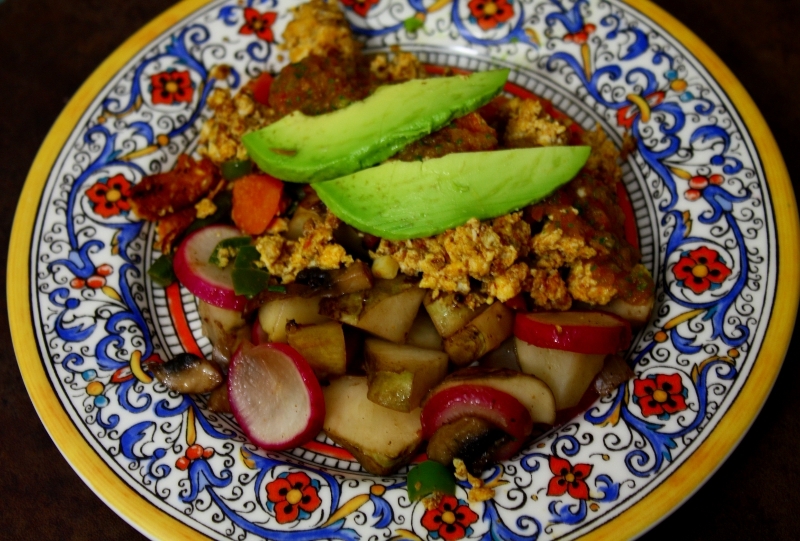 Fresh chorizo, eggs, chipotle salsa and veggie hash! 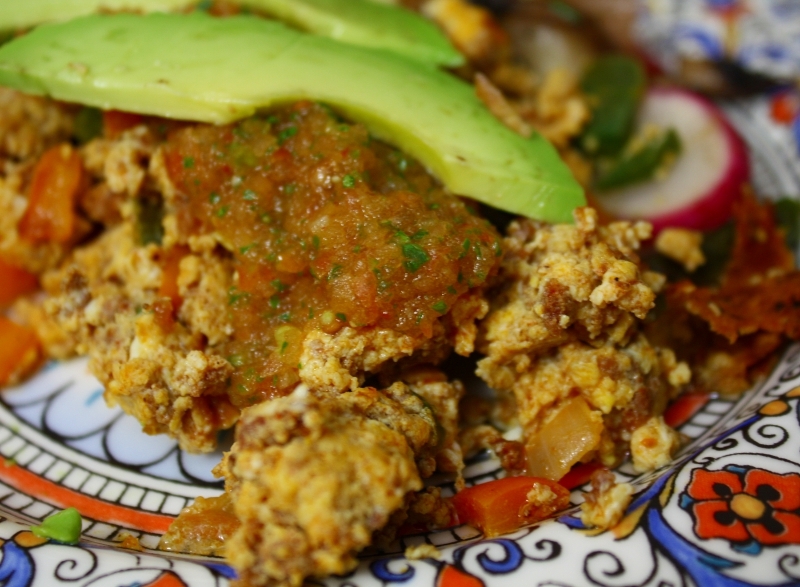 Perfect for breakfast, brunch or dinner! 1. 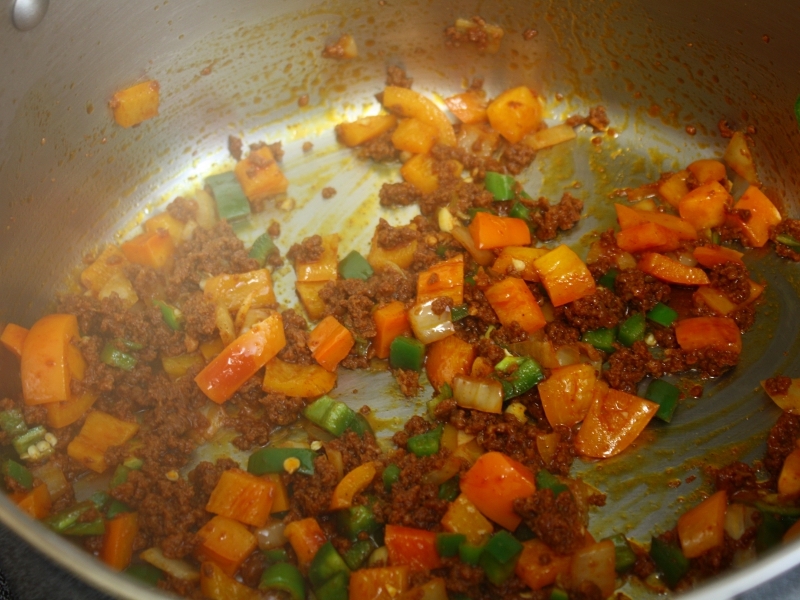 Chop veggies and toss with salt and pepper. 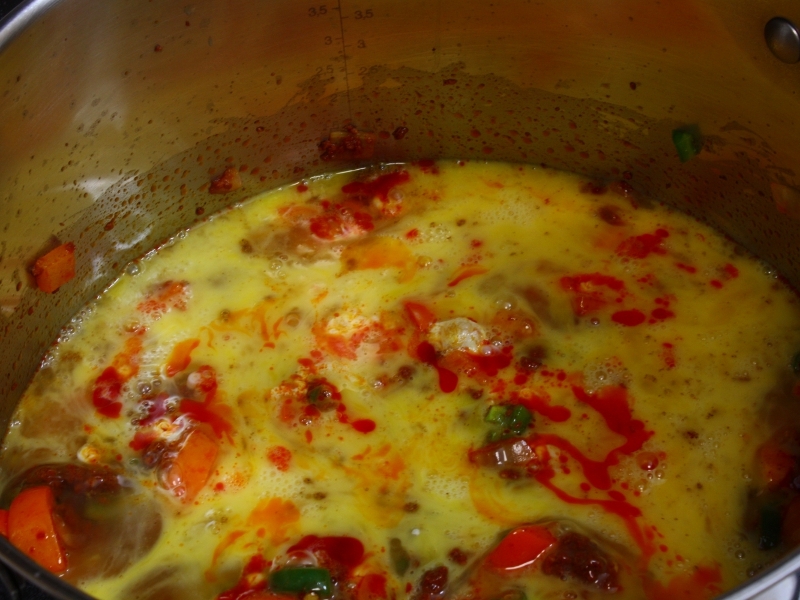 and then add slightly beaten eggs. Wait 2 minutes then toss eggs until cooked. 4. 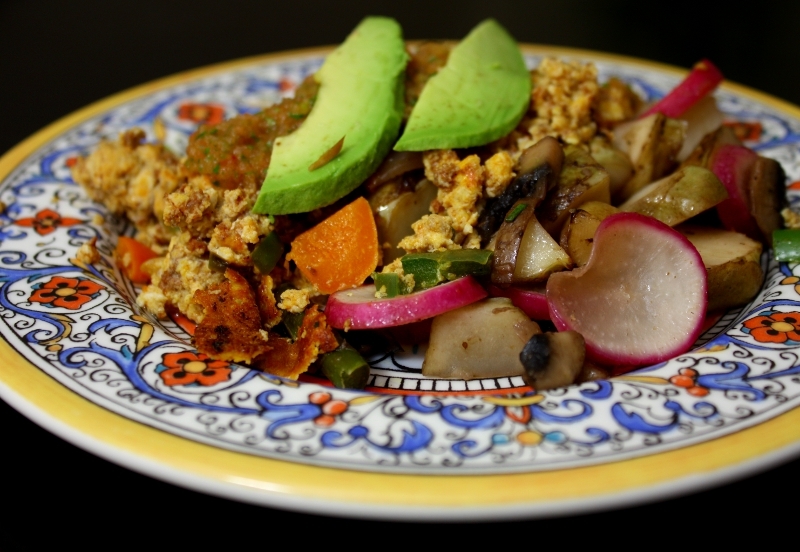 Top veggie hash with eggs, salsa and avocado.